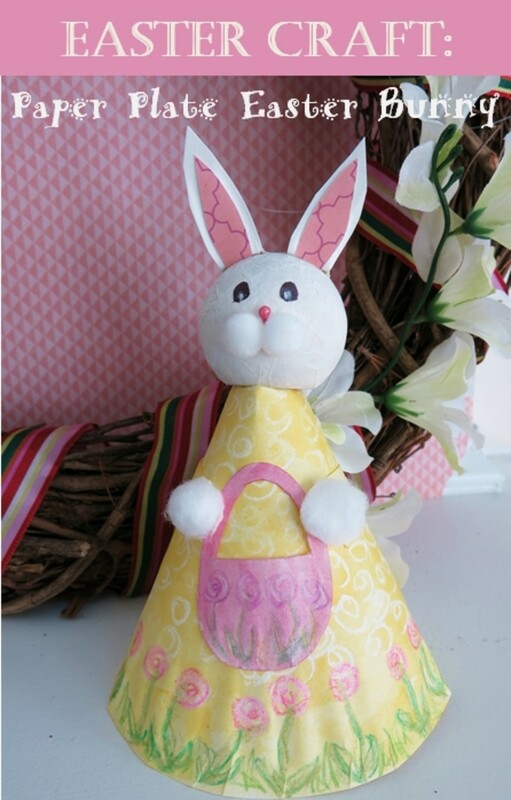 This Easter bunny puppet kids' craft is perfect to make this spring. 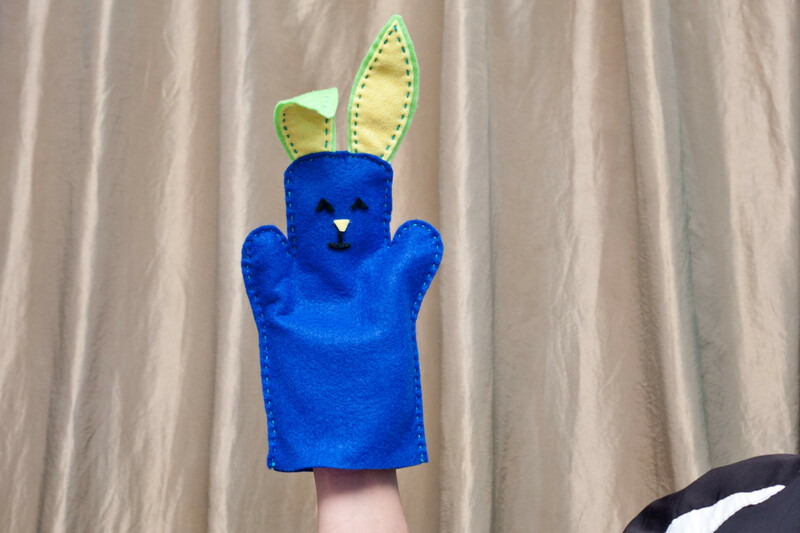 Kids are big fans of puppet shows, and now they can learn how to make their own bunny version. 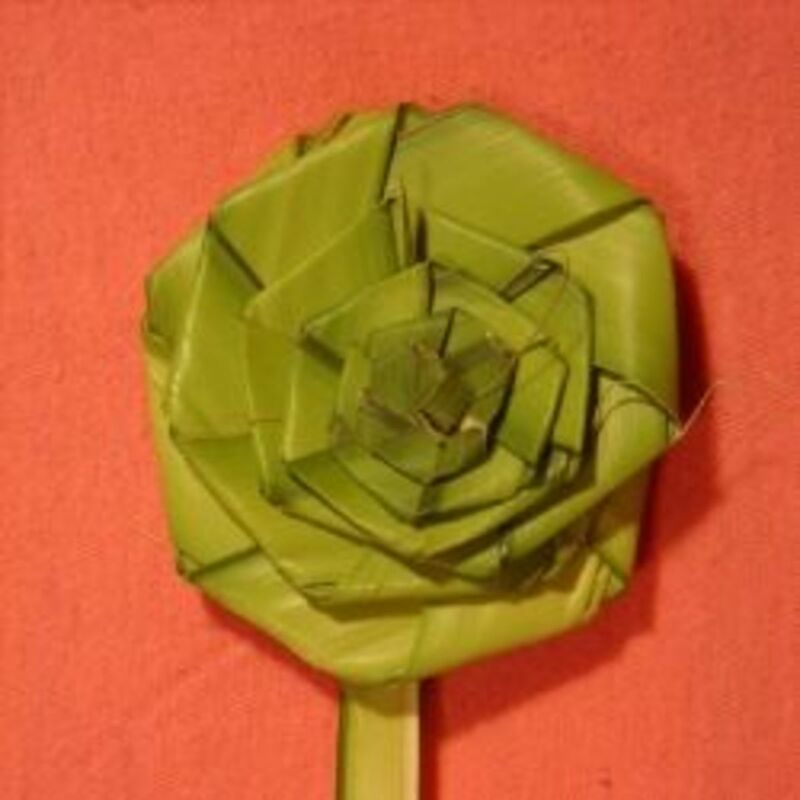 This is a great craft project idea that is simple so kids can make it themselves, or you can help them. Read through the steps and gather the materials you need to follow along with this step-by-step tutorial. Step 1: Prepare & gather all the materials needed to make your bunny. Step 2: Draw a rabbit body that is big enough to fit over your whole hand. Step 2: Draw a picture of a rabbit body and make it large enough to fit your hand. 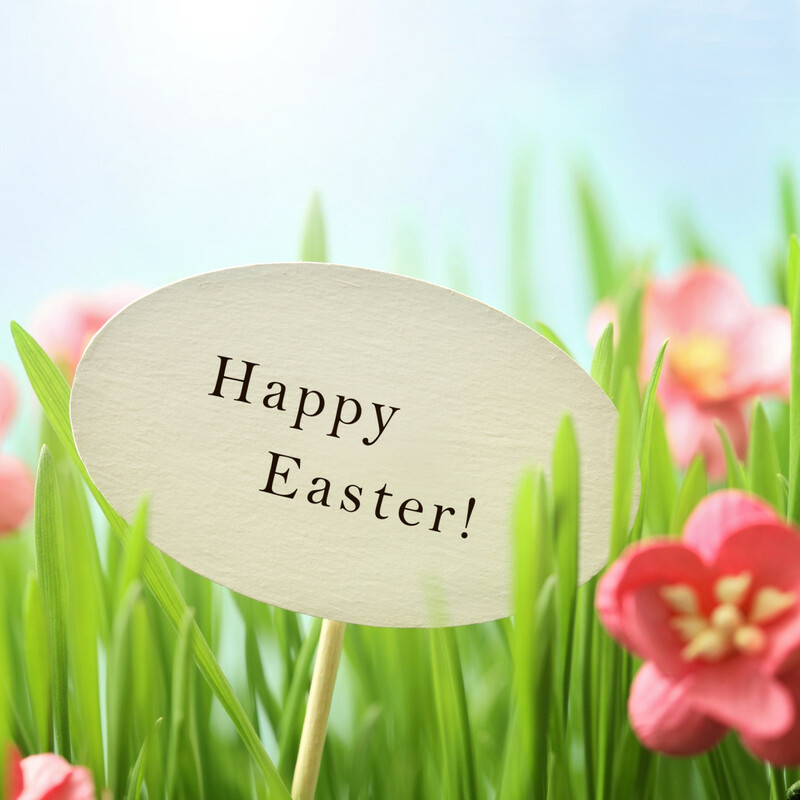 Your thumb and pinky fingers should fit into the arms of the rabbit, and the three middle fingers of your hand will fit into the body of the bunny. When you have a pattern that fits your hand and you are happy with, cut it out. Draw a rabbit body that fits your whole hand. 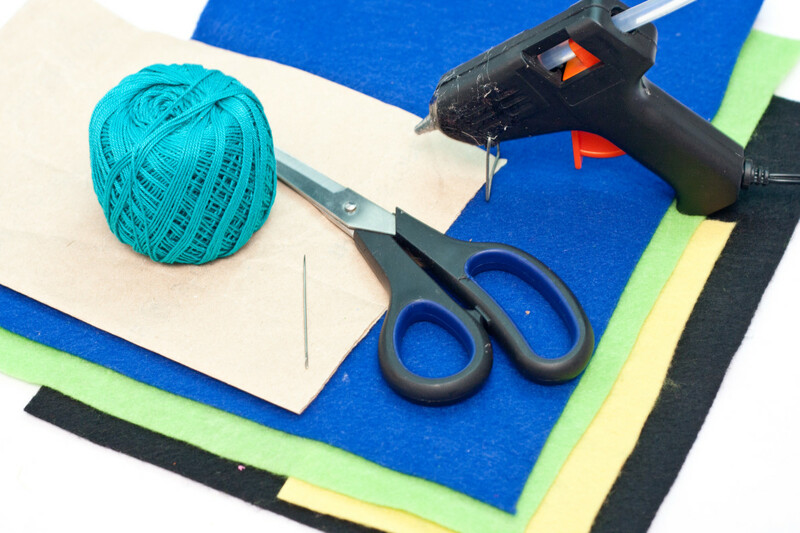 Step 3: Put the pattern on a piece of blue craft felt and cut it out. 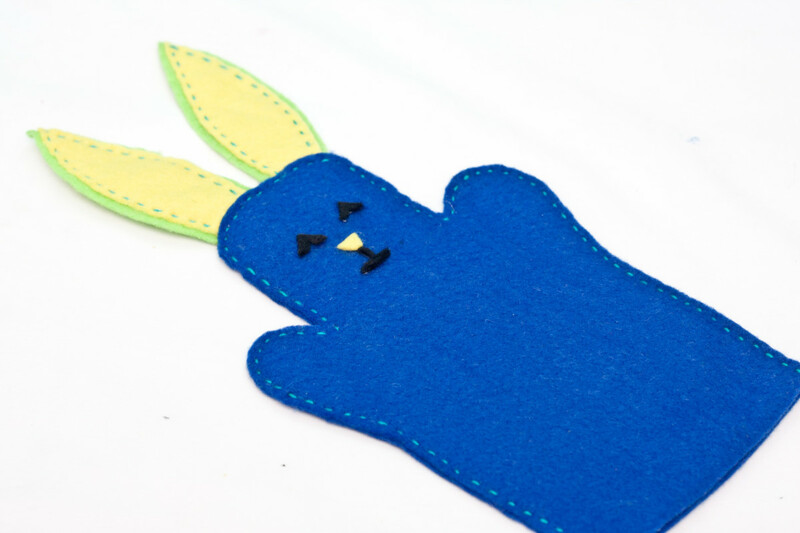 Repeat this to make a second blue felt pattern shape bunny. Step 4: Cut a pair of bunny ears out of the yellow craft felt. Step 5: Run some crochet thread through the eye of the needle and make a knot at the end of the thread. 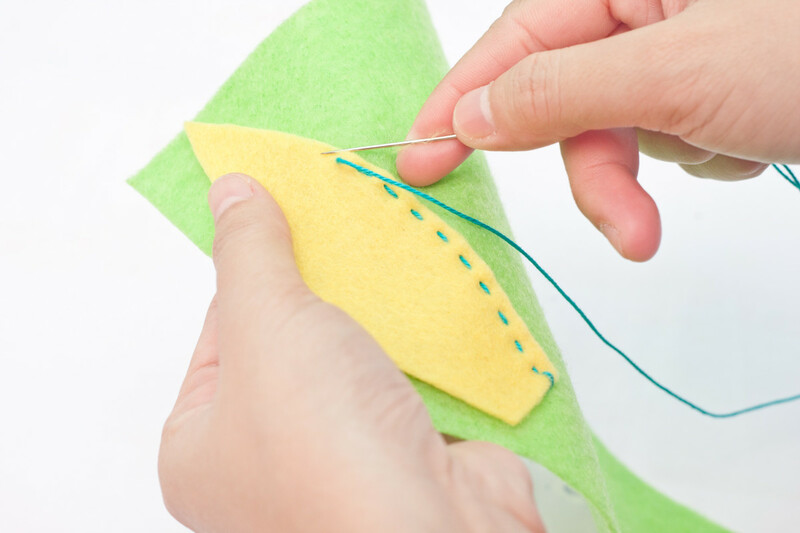 Stitch the bunny ears onto a piece of green craft felt using a running stitch. 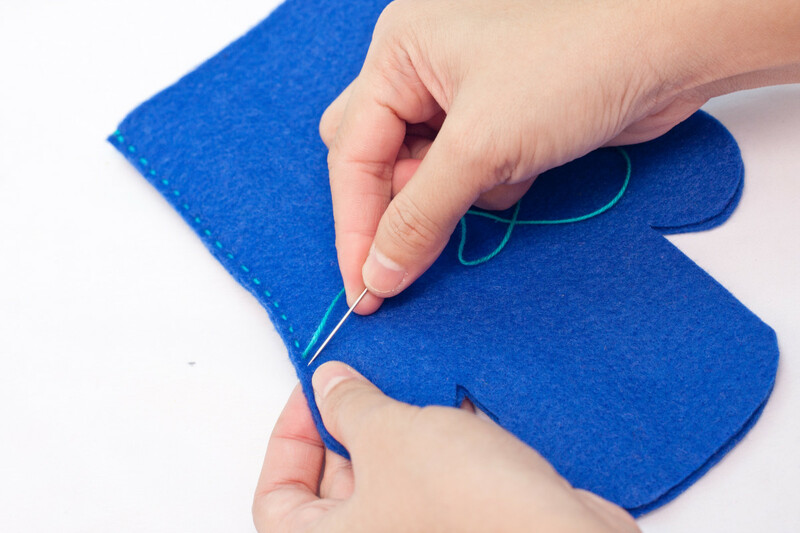 This stitch doesn't have to get cut until the ear is completely stitched onto the green felt. Step 6: Trim the green felt leaving a small green border on each of the bunny ears. Look at the picture to see what it should look like. Step 7: Sew the sides and top of the puppet - but not the bottom. Before you sew the top of the puppet...insert the ears. Read steps 7 & 8 before you start them. 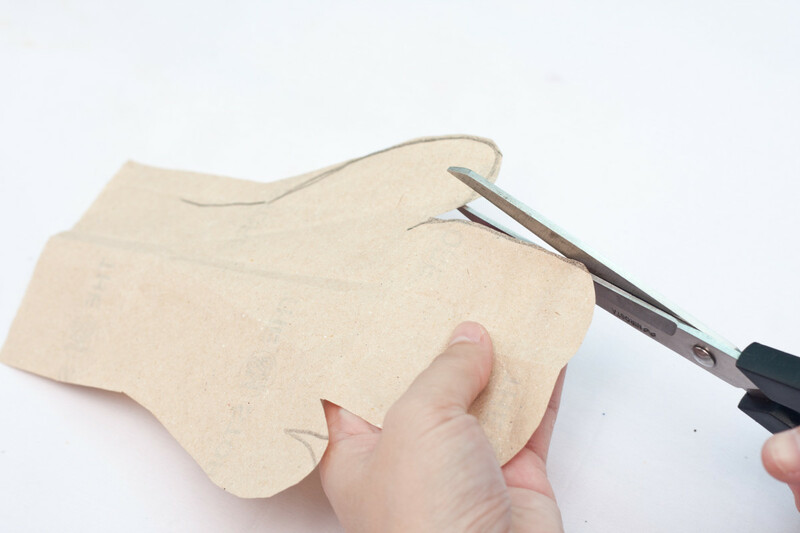 Read Step 7 & 8 before you begin to sew the body of the bunny puppet together. 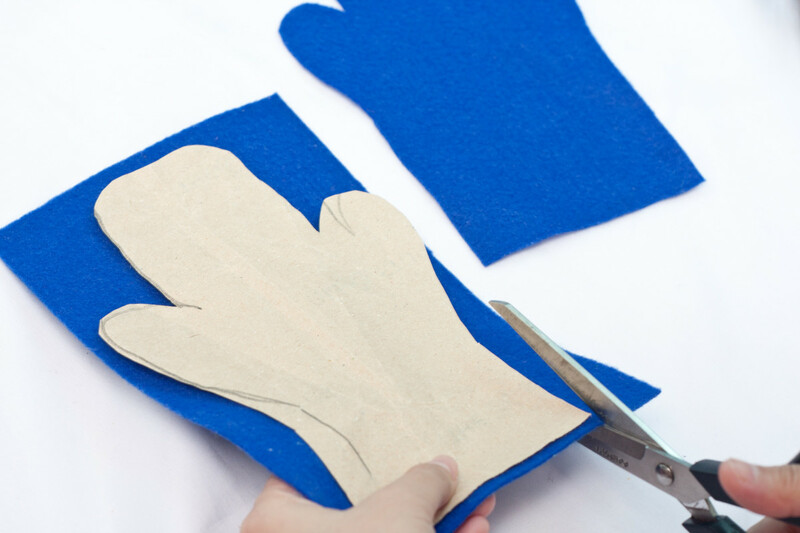 Step 7: Put the two pieces of blue felt that are cut into the shape of a bunny on top of one another. Read Step 8 Now. It will tell you to sew the ears on before you close up the top of this bunny...so read it before you continue. Now sew 3 sides of the body together - the sides and the top - remember to put the ears in before you finish sewing the top (Step 8) ... leave the bottom open. 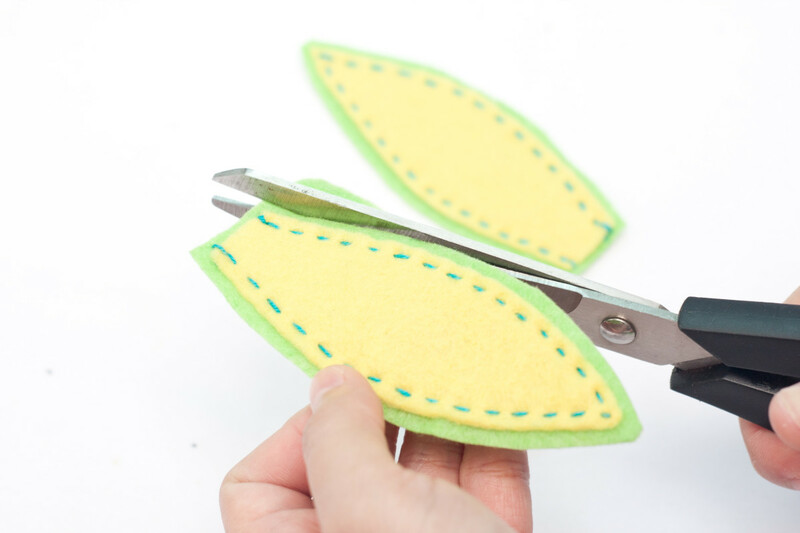 Sew them together using the same type of stitch, the running stitch, as you used to sew the yellow and green felt together. Remember...sew up on side, along the top, and down the side...leave the bottom open so a hand can get into the body of the puppet. Step 8: When you sew up the one side of the bunny puppet, put one of the green/yellow ears in between the two blue felt pieces that will become the head of your rabbit. Sew these in at the same time you sew the blue felt...do it again when you reach the other side of the rabbit's head and sew in the second ear. Then continue to sew up the other side of the bunny puppet and make sure to leave the bottom open. Step 9: Cut out a pair of eyes and a mouth from the black craft felt, a cut out a nose from the yellow craft felt. 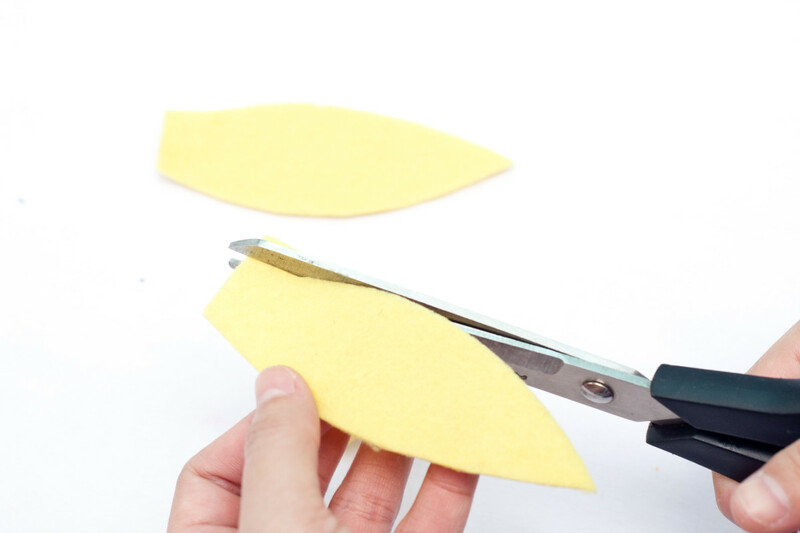 Use the hot glue gun to secure them to the puppet's face. Step 10: Your Bunny Puppet is finished. Take a look at what you've made. 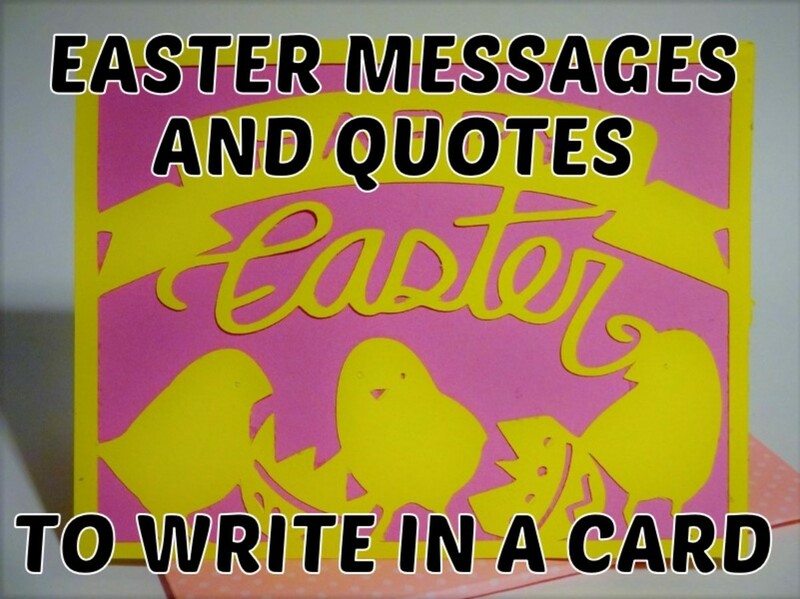 Are there any finals details you would like to add to your Bunny? Step 10: You are finished with these instructions. Of course, you can add any decorations you like to make your puppet. You might want to add a bow for a girl, or a bowtie for a boy. Put the puppet on your hand and you are ready to put on a puppet show. Now it's time to put your bunny puppet on your hand and have some fun. You can put on an Easter show with your kids or you can watch as they put on a show for you. 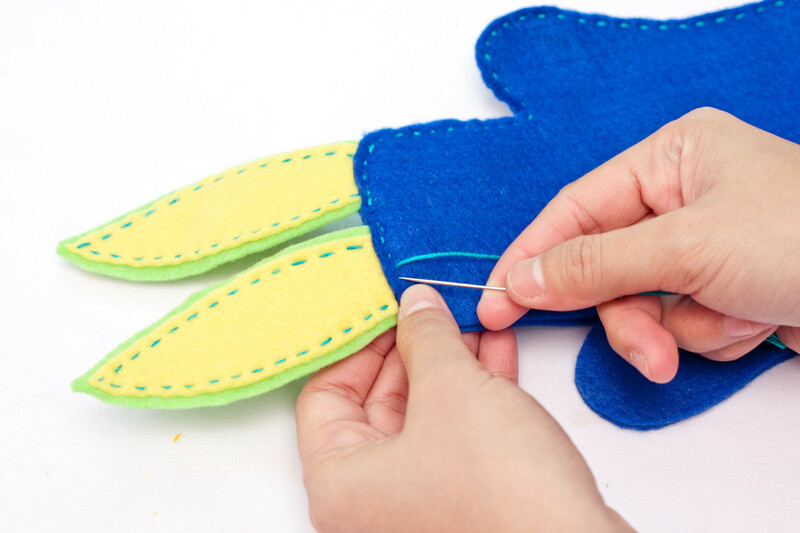 Now that you know how easy it is to make a bunny puppet, you & the kids can craft a couple more in different colors, or using a patterned piece of felt. Give your new puppets different shaped mouths and facial expressions. 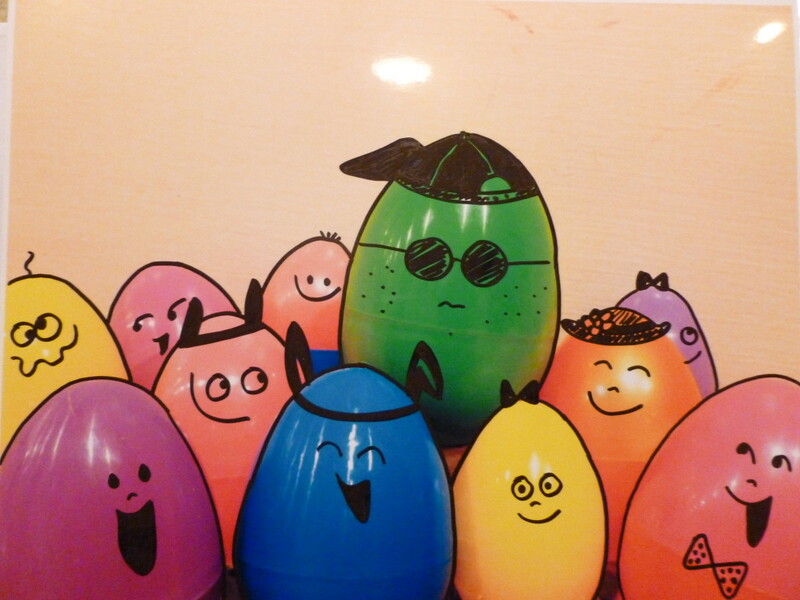 Bonding is fun and easy when you craft with your kids. You are all having fun, making something, and being creative. 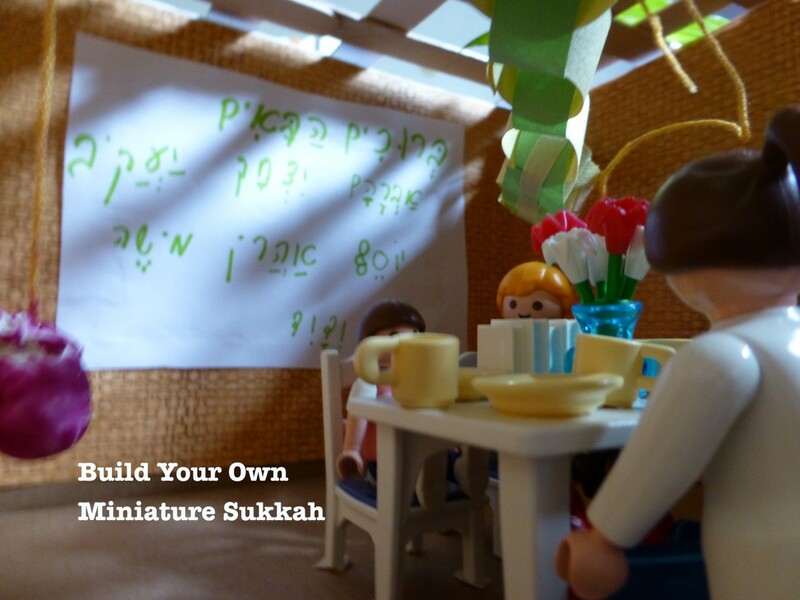 Using your imagination is fun and it's a wonderful time to share with your children. Now you can continue to use those imaginations using the art of puppetry...enjoy the show. 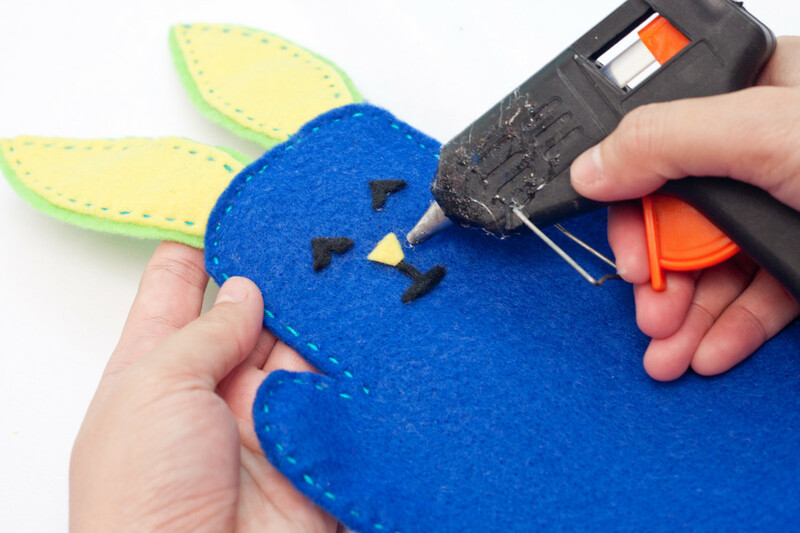 Imagine how proud your daughter or son will be when they finish this bunny puppet project! It's such a thrill to make something...and this bunny is simple and cute. Use different colors or even use a patterned fabric for your rabbit toy. It will look great and provide hours of fun for the kids. 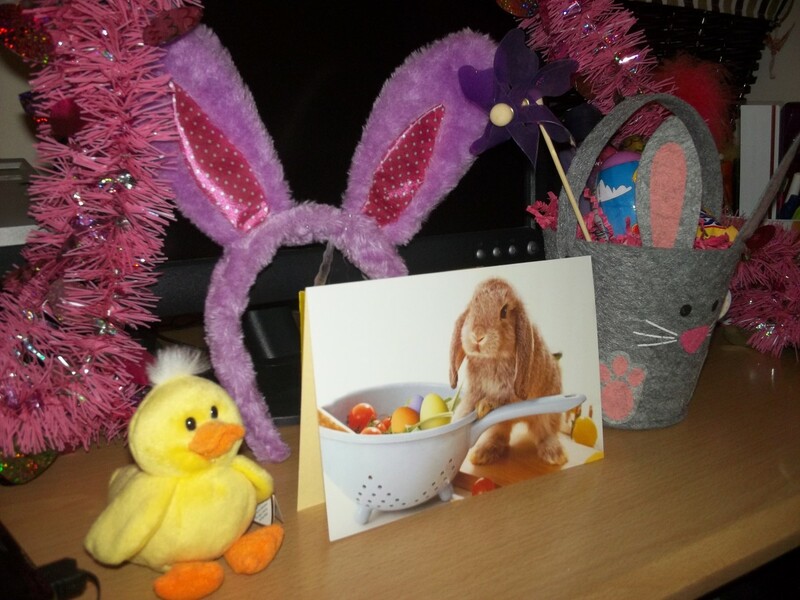 Easter Fun at Your Office: I've Been Hopped!